How connected are we? Do your actions, thoughts, feelings, have an effect on me even if I am unaware (or on the other side of the world)? Is my existence bound within the existence of other human beings, or are we simply sharing the same planet for a period of time? Connections between people, particularly of a spiritual nature, were declared to be mere superstitions in the march of modern rationalism. To believe in connections between people came to be seen as flawed – similar to a belief in an outer space filled with the “heavenly ether.” The rise of the mechanical universe displaced all ideas of true connections between people (or between people and things). Individuals became discrete, separate entities. The only possible effects that were allowed in such a universe were direct physical effects (which would include sound and the various forms of light), or psychological effects (how I react within myself to outside stimuli). Cause and effect were thus severely limited. But, the question remains: are we connected? Is our relationship to one another nothing more than the figments of our own neuroses and the violence of others’ actions? The word rendered “composed” (συνεκέρασεν) in St. Paul’s thoughts on the body of Christ has a more accurate meaning of “mixed together.” “Composed” is not an incorrect translation, but our own weak reading of the word fails to capture the word’s original sense. St. Paul is making the point that God’s creation of the human body is precisely an interconnected/mixed entity. It is this “mixed” entity that most fits the Apostle’s thoughts on the nature of our life as the Church. The hand cannot say to the foot, “I have no need of you,” for far greater reasons than simple cooperation. The “members” (“parts”) of the body do not exist in a strictly distinct manner: they have something of a “mixed” existence. So, too, are Christians (and humanity as a whole – for the Church is not other than human, but the display of what it properly means to be human). Today’s increased “wholistic” practice of medicine has renewed an emphasis on the interconnectedness of the systems within the human body. It is only convenience that makes medical science label something as one system or another – for the body is a single whole. Everything, both good and evil, comes from our thoughts. Our thoughts become reality. Even today we can see that all of creation, everything that exists on the earth and in the cosmos, is nothing but Divine thought made material in time and space. We humans were created in the image of God. Mankind was given a great gift, but we hardly understand that. God’s energy and life is in us, but we do not realize it. Neither do we understand that we greatly influence others with our thoughts. We can be very good or very evil, depending on the kind of thoughts and desires we breed. If our thoughts are kind, peaceful, and quiet, turned only toward good, then we also influence ourselves and radiate peace all around us—in our family, in the whole country, everywhere. This is true not only here on earth, but in the cosmos as well. When we labor in the fields of the Lord, we create harmony. Divine harmony, peace, and quiet spread everywhere. However, when we breed negative thoughts, that is a great evil. When there is evil in us, we radiate it among our family members and wherever we go. So you see, we can be very good or very evil. If that’s the way it is, it is certainly better to choose good! Destructive thoughts destroy the stillness within, and then we have no peace. Our Thoughts Determine Our Lives: the Life and Teachings of Elder Thaddeus of Vitovnica (Kindle Locations 615-623). St. Herman of Alaska Brotherhood. Kindle Edition. The Elder is not suggesting that our thoughts have a profound psychological effect on those around us. He is rooted in St. Paul’s understanding of συνεκέρασεν – our connectedness. We are not each a separate world, but all part of one world. Just as it has become popular to acknowledge the so-called “butterfly effect” discussed in chaos theory (a hurricane’s beginning is effected even by the flutter of a butterfly’s wings on the other side of the earth), so we should recognize that the whole of our lives – physical, spiritual, mental, etc. – is equally part of a whole. Our cultural assumptions make us insensitive to the connections of our lives. The modern model of discrete existence supports the fantasy of a highly individualized freedom that is a foundational notion of modern consumer economies. We imagine that there are “victimless” crimes or “privatized actions.” We say to ourselves that certain behaviors are without consequence and effect no one but ourselves. This same fantasy makes it very difficult for us to understand the limitations of freedom and the inherent responsibilities of human existence. The results are a culture that is increasingly dysfunctional. For Christians this individualized concept of the self undermines many of the primary realities of the faith. The Church cannot be rightly understood as a voluntary association. We are Baptized “into the Body of Christ.” The modern concept of the individual runs deeply contrary to Scriptural teaching on the nature of the Christian life. The sacraments, whose foundations rest within a world in which true communion and participation are possible, become more and more foreign to the individualized Christian experience. The sacraments are either deeply minimized (even to the point of extinction) or re-interpreted in voluntaristic terms. It is this re-interpretation of the sacraments that undergirds the modern notion of “open communion,” or “Eucharistic hospitality.” The exclusion of persons from the Cup of Christ is seen as an insult, a denial of their self-defined Christian identification. I have been told, “Who are you to say that I should not be allowed to come to communion?” “Individual communion” is an oxymoron. The teaching of the faith regarding Personhood requires an acceptance of the connectedness of existence. Human sin tends towards fragmentation, disintegration and a radical individualism. The ultimate individual existence is the one that refuses love. The presence of the “other,” is perceived as a burden and limitation. Rebirth in Christ is an entrance into a connected existence – into existence as communion. The “other” is not a burden – it is utterly required for true existence. In the story of human creation, Adam, alone, is described as “not good.” We were not created for aloneness. But the creation of Eve is described in terms that go further than “other.” Had “other” been the only requirement, then any of the animals whom God brought to Adam would have been fitting for the purpose. But Adam’s exclamation at Eve’s creation is in the language of connection: “This is now bone of my bones and flesh of my flesh!” The “other” is also, somehow, my self. The daily discovery of the “true self” that marks the path of salvation, is the fruit of love. It is the constant realization that my life is not my own, but is rather found both within and somehow outside myself. Or perhaps it is more correct to say that “outside myself” is something of a false concept. We must say “something of a false concept,” for the true self is not the loss of identity, a blending of the self with all else: it is communion. This same communion describes the means, the path and the life of salvation. Earlier discussions on the blog have ventured to suggest a communion that reaches even into the realm of hell. Communion is not a quality or an activity of life – it is the very essence of life – its sine qua non. For this reason the faithful are taught to pray for the departed, to know and share in the prayers of the saints, and to believe that we are helped by their prayers and they benefit from ours. In such things we are not being taught how to pray, we are being taught how to live. In Genesis, when God proposes the destruction of Sodom and Gomorrah, Abraham intercedes. “Will you destroy the righteous with the wicked?” And he proceeds to argue for increasingly smaller numbers of the righteous for whose sake God will spare the unrighteous. It was said at one time that there were three righteous men on account of whose prayers God spared the world. It is a Biblical notion. Our connectedness is our life. Beautifully said, Father! It will take me awhile to think over it all. , having given greater honor to that part which lacks it, that there should be no schism in the body, but that the members should have the same care for one another. Forgive me, but it’s pretty much impossible to tell anything or learn anything by using the Strong’s concordance. Language just doesn’t work that way. It’s rather necessary to know the language. If a person is interested in the Greek beneath the English they read, then they need to study Greek. There is no tool that will do that for you. Blessings. You are too kind. I am honored. I find that Greek is charismatic, that is, bears gifts. I DID learn the alphabet, I do study commentaries, but mainly I use the prayer of the Eastern Church, the Jesus Prayer, which predicates me to learn Greek words and phrases. I always hear from you with my spirit. Pray for me the sinner. Also please pray for Father Alexios Trader. Father, i remember a study that was done in the 60s-70s? on the offshore islands of Japan. A group of scientists were studying the makak monkeys of the Japanese islands. On one particular island , a young scientist observed a mother makak who was very undernourished and had recently given birth . Makaks had the custom of refusing food which had fallen on the ground and been dirtied. The mother monkey was left a banana on a rock by the scientist , but when she dropped it on the beach , she was disconsolate. The scientist showed her how to clean the banana in the water and left her to observe the results. Not only did she eat the fruit , providing nutrition for her offspring , but in a relatively short time , the monkey son all of the islands adopted the practice in spite of the fact of having no physical communication . Evidence of species consciousness? This is why I find Christians’ embrace of Libertarianism (especially the Randian variety) so baffling. Excellent, Father. Much to ponder, as always. There have been recent studies on, of all things, whether prayer works. Although I find the notion of trying to study this “scientifically” rather repulsive, the findings are intriguing when viewed in the context of your article. Patients in the hospital were randomly assigned to either a group that would be prayed for or a control group that would not. The patients did not know which group they were in and the people praying for them did not know the patients personally. Those in the “prayed for” group had better recovery. This seems to support that we are connected in a way that transcends the individualistic perspective…Not that we need studies to tell us this, however. I would like to invite my brothers and sisters here to share in a 7 day project I have started on my blog. I am posting daily for 7 days (hopefully I’ll make it :-)) on key words, the first day being Hope and the second day (today) being Peace. I feel a synchrony with what is here, though my writing has a different focus (not specifically Orthodox) and a different intended readership (blog was established to offer hope-filled thoughts/images to my patients). This project offers others, including you folks, the opportunity to share on these topics via e-mail to me. The sharing will later be posted in a second 7 day cycle. This article went into the theme of praying for one another, as a form of living, of being in communion with everyone. I sometimes found myself asking why we pray to God if He already knows what is best to do for everyone… I would guess that this is the answer: we pray so that we can be in communion with our beloved, with our neighbour, and, most of all, with God. Fr Stephen, another wonderful post, thank you. Since you mention the collective unconscious, I would like to hear more of your thoughts on this and other aspects of Jungian psychology. Also, in your quote from Elder Thaddeus, can you say more on the distinction between a psychological effect of our thoughts on others, and the effect which the Elder is actually implying? Yes, indeed. Prayer is communion – and thus it is life. We should pray for essentially the same reason that we breathe (and with love). I found this inspiring article from a reposting on Christ is in our midst which I read almost every morning. Thank you. There is one comment I wanted to share. It is about the importance of vegetarianism for our own spiritual lives and the collective consciousness of humanity. Especially in American there are large scale slaughter houses. The mass killing of animals floods the world with negative thoughts like fear, anxiety and violence. Eating meat also holds back a persons ability to feel compassion and mercy. It disturbs inner peace and makes it more difficult to pray to the Lord. Monks on Mnt Athos and around the world are vegetarian. Becoming vegetarian is a small sacrifice that significantly helps make the earth a brighter place. I have noticed a tremendous difference in my own life. I am grateful that I was helped to see the benefits of vegetarianism. Each of your posts is a thing of beauty. Thank you. This one also touches on the intersection of Christianity and quantum physics, the subject of several excellent books. Wonderful post Father. Our Thoughts Determine Our Lives is an exceptional book that continues to inform my decisions and, especially, my relationships. Another book I loved that relates to this idea is Being As Communion by John Zizioulas. I would like to respond to Phil’s comment about the Christian embrace of Libertarianism. I am an Orthodox Christian and I lean toward Libertarian politics and I have many friends, Orthodox as well as not, who share similar views. The reason behind this isn’t that we don’t believe people are connected or that we are all responsible for each other in some way. The reason is that we believe compulsion to be an unacceptable way to achieve the greater good. God created us free to accept or reject Him and a real relationship must be based on this freedom. Likewise, our social interactions must also be free and voluntary even if that freedom means we might make bad decisions. I often favor “libertarian” political policies myself. That’s not what I meant. What often is sold as libertarian politics is better called a freeman, yeoman, populist, or subsidiarist politics, and it’s perfectly compatible (perhaps the most compatible of the options on offer) with Christian thought. Libertarian ideology, on the other hand, is another beast. It’s the fundamentalist form of secular Liberalism and the antithesis of the Christian worldview. Ayn Rand is perhaps the starkest and most loathsome example (though that doesn’t keep her from being read and liked by Christians, even Orthodox!) but even one so easily dismissed for her style and ridiculousness is not so far from the core of Libertarian thought. Thank you for yor posts Father, they have/are playing a huge role in my journey to Orthodoxy. What I wanted to say is that, there is infact physical scientific evidence that support (not necesserily prove) the idea that that things are connected, perhapse you’ve heard of it.It is called quantum entanglement. the fact that two or more sub-atomic particles can have instantaneous effect on one another, regardless of the distance.a particle on the other side of the univeres can have a effect on a particle on the earth. this has been seen in biological systems, like bird migration. electron particles in their brain become entangled with the earths magnetic field. there is a youtube video on this. this may not go be completely relative to your post, but it is intersting. sorry if my grammer is off, I am not on a computer. Phil and James the Libertarian debate is really not in line with the nature and purpose of this blog. There are other blogs on which it would be appropriate that treat of the intersection of politics and the Church. I say this, because of the temptation that arises in me to ‘jump in’ on the topic. Faith forms culture and politics, not the other way ’round. Are we connected? The answer to me is so patently obvious that it boggles my mind that it can even be asked. The fact that it does shows how the ideology of separation leads to the insanity we see all around us and (unfortunately) in us. The idea that we are not connected is so astoundingly demonic (perhaps the essence of the demonic delusion). Of course, I had the great good fortune to have had two parents who clearly saw and experienced the inter-connectedness of life and all things, large and small: that is one of the myriad reasons that I am Orthodox. My father explicitly taught that everything we do has an effect on everything and everybody else in the world. He modeled his practice as a public health physician or as he would have preferred a community health physician on that principal. As a result, he created community health programs that enhanced the life of all. Unfortunately, the time bound, linear bureaucrats that followed him dismantled many of those programs because they did not comprehend them or the vision behind them. The operative questions should be: How are we connected; why are we connected and how can those connections be enhanced for good? The entering into the sacramental life of the Church reveals the answers to all of those questions and insanity gradually passes away. Joy, peace and love then flow abundantly. When we find ourselves so intricately connected in family life that we cannot maintain that ‘healthy distance’ a monastic should maintain and enjoys? What I refer to is those tricky situation where discernment would stipulate a devout woman mustn’t go to that extra vigil (for instance) but should go to the cinema because that is the desire of her husband. She might be attacked by temptation there (and subsequent thoughts thereof too) due to her (still) immature spiritual state, but it is not right to abstain either… Our connectedness means we either become communicants of another’s sin (often half voluntarily) or ‘holier than thou’ in an inappropriate way (often with mixed motives again). There is a varied range of such examples. I have heard Elder Sophrony advise a humility – a state of ‘diakonia’, a joyous servitude – that can easily substitute the desirable yet lacking discernment in the myriad of such tricky dilemmas. Is there an inner state or any other counsel you have by any chance? The variety of how spiritual people respond in these situations (often with disarming effects, sometimes with apparent “failures”) is a fabulous indicator of how all parts of our inner and outer life, as well as our inner person and those around us, are closely connected! You’ve shared a little about your parents before and I think they were surely a great blessing. I was raised in an intensely secular home. My parents believed in God, but were “culture” Christians – there was nothing sacramental – nothing inherently sacred. This was by no means intentional – it was entirely non-reflective – the essence of “culture” Christianity. They were Orthodox Christians in their last years – and in a very different place. However, I bear within me the marks of my childhood. I think I write as strongly and pointedly about secularism (disconnectedness in this case), because it is the “default” position with which I was raised. It is a moment-by-moment act of faith to live in any other manner. I am therefore far too aware of what secularism thinks and feels (for I think and feel it a lot). Connectedness is essential to a sacramental worldview, and its absence, I have noted within myself, is an absolute obstacle to the sacraments. So I write about it. I so wish I could say that our connectedness was patently obvious, and I wish it were patently obvious (or even just obvious). But to a secularist (or a post-secularist like myself), it is radically unobvious. It is hidden, deeply hidden. So much so that it’s easy to think other people are just making all this stuff up, or that I’m engaging in wishful thinking when I write about it. I have had sweet glimpses of the world of connectedness – glimpses that harmonize with the faith. And enough so that I’m willing to stake my life on it. To one degree I stake my life on it because if there is no connection, then there’s nothing to stake a life on. Secularism is a devil’s bargain, an agreement that, in the end, nothing wins. I wonder that the answer would either be too large, or too small. So I’ll go with the small one. I believe that above all we should be kind and to cultivate a heart of kindness. When I start thinking, inwardly, that such-and-such a behavior might “benefit” someone else, I have crossed a line. I have assumed that I am the “spiritual father,” and know what’s best for others. Most spiritual fathers, in their writings or conversations, admit that they “know” almost nothing, but say whatever is given them to say, and only notice later that this seems to benefit others. I think the responsibility for “others benefit” would be madness, even for a great spiritual father. But to be kind is within the reach of everyone and is often not hard to discern. We practice kindness, and let God practice being God. If we are right in these actions, we are truly of great benefit. If our actions are of no benefit, at least we brought kindness to the situation. the emphasis on kindness in your counsel, combined with the advise from Elder Sophrony on ‘the other one comes first’ is a splendid “duo” indeed! Even if the decision arrived at is somewhat ‘more wrong than right’, this way of applying it in practice is certainly a more gallant one! In fact St Paul’s admonition about not abstaining for the sake of the other could be germane. Yes, Father, my parents were/are a great blessing. Our parents, yours and mine, were opposites in many ways it seems. Mine were not formally religious at all but had an intuitive understanding of the divine/human interaction. Yet, they would not have dreamed of calling themselves “spiritual” because in their hearts they saw no real separation. Life was life. It had a divine being as its source and it was wondrous. By the time my brother and I came to the Church, my mother had reposed and my father was quite aged. He had no interest in changing and would have had no patience for the formality of Orthodox worship or the nuance of Her thought. He was ultimately a cowboy, having grown up that way, homesteading with his family, on the high plains of eastern New Mexico. He came to know of God on the back of a horse with the vastness of the night sky overhead and the flat expanse of that region all around him–penetrated with ‘something’, ‘someone’. He often bragged that he had been baptized three times and that one of them ought to have taken plus he taught Sunday school for a time for him that was all he needed from formal religion. His authority rested on the deep experiential knowledge of the warp and woof of creation. He was an exceptional diagnostician because he saw how things connected without having to consciously analyze it. He couldn’t stand clinical medicine though because he felt the pain of his patients too deeply. He devoted his life to community health and literally saw every social injustice or problem as a community health problem that should be treated as a communicable disease: from gun violence to the building code to literacy as well as the more prosaic challenges of sexually transmitted disease and immunizations. Skilled, compassionate, human interaction was how to prevent any and every disease in the life of the community. He kept Planned Parenthood out of Wichita for decades because he saw them as they are–destructive of life and community. He was not about to allow them into his town. About a year after he was forced to retire they came waltzing in and started their campaign of genocide. I remember one night when I was young walking past my parent’s bed room. My Dad was in there in the dark, on his knees praying. It was a bit like Jacob wrestling with the angel: fierce and uncompromising and a little scary to a young boy. I believe my mother married him because when he came to visit her in New York City one time, he dominated it and brought it, in little ways, to the bend to his will. She loved the story about how he ran ahead to catch the subway and held it there for her: his back against one of the doors, his arm extended to hold open the other as she walked under his arm into the subway. My mother was a dancer who danced with many of the great pioneers of contemporary dance in this country and always had a dance company where ever she was after that. She used dance to teach humanity, beauty, love and healing. Deeply influenced by Native American faith, life for her was a multi-dimensional work of art full of rhythm choreographed by someone, but she never knew quite who. My fondest memory of them together is on the dance floor, my father, huge, intimidating but athletic with a great musicality to his movement; my mother lithe, tiny and graceful instantly responding to whatever direction my father decided to go in perfect synchrony with the music and each other. My parents were, in the best sense of the word, humanists. Creative, demanding, deeply flawed and scared they wanted to form culture, not conform because they saw the beauty and dignity in human beings as creatures of God and the beauty of creation. They did what they could to enhance that beauty. Each of them acutely aware of our inter-connectedness with all other being and life. As a result, the world they only wanted to elevate, often rejected them in ways they found quite difficult to deal with. May their memories be eternal. Yet, Father, Despite the differences in our parents: here we both are. Glory to God. Last year I went through a real time of trying to figure out what was at the core of the pro-choice culture that we live in. My husband and I had just baptized our fourth child into the Church. I am not a woman who cannot at times see the practical need that a woman may have for terminating a pregnancy, (I am not stating a stance with this comment, only a recognition) and I am not writing to debate that issue. But, what I do not understand is the pro-choice culture, the men and women who champion this as a “good” for women, for society, for the world. At some point I began to really look at the sacrament of Baptism, and the lack of infant baptisms in this protestant culture. Something unexpected happened to me, something I cannot quite explain in words. All I can say is that I began to see baptism not as an individual means of salvation, but a grace that comes to babies that welcomes them into the communion, into the body, into the world, into the human race. Does a culture that baptizes infants keep within its collective consciousness the experience of oneness, of humanity? I believe it has a better chance. I believe infant baptism is the answer to the death culture, and I do not even know how to explain why I feel this way. After discovering this through readings, I also began to examine all the other defined sacraments. I was amazed at what I discovered. There is a sacrament for each stage of the lifespan. Sacraments accompany a man throughout his/her life, crowning the human being with the dignity of the Trinity. In fact, the way I have taught my children to memorize the sacraments is by relating them to the stages of life. Infancy through death. Every sacrament connects a human being to the whole, it connects us to each other in communion. Without sacrament, there is no communion of saints, and I am so bold to believe that their is no such thing as humanity. We are splintered, but it need not be this way. God has given us a means to be one, to love one another, to share each others joys, to bare one another’s burdens, and to live in communion where every person is made a part of a whole. This oneness does not mimic a perfect communism, if fact communism is to me man’s attempt to be one without God. This oneness is not an obliteration of self, or a destruction of conscience. To me it is heaven, no suffering or sorrow, the kind that comes from feeling all alone and isolated, insignificant, and invisible. It is the Kingdom of God. This reality is realized in the Church, to church is to gather. One definition of abortion is a “cessation of normal growth, especially of an organ or other body part, prior to full development or maturation.” Abortion is the opposite of sacrament, and this ill in our society is the bleakest expression of our destruction as a whole. It expresses our desire to be left alone, and this loneliness is the modern man’s definition of freedom. Amanda, your observation on the lack of baptism and abortion is thought provoking. The understanding that sacraments accompany us throughout life is not new to me, but the linking of the absence of such to societal ills is compelling. Thank you. Father, I am firmly grateful for my parents preparing both my brother and me for the Church. They were, in the best and most complete sense of the word, humanists with a deep foundation in the divine presence (not as impersonal force but as divine being). It was simple for them to understand that life required being and being required inter-connectedness. Their experience and understanding of the inter-connectedness of being, life and all of creation was profound and all together non-academic and not really religious or ‘spiritual’. It fueled their creativity. Paradoxically perhaps, it also led to immense frustration for them as friends and colleagues routinely failed to understand their vision. My father single handedly kept Planned Parenthood out of Wichita for decades, not out of any political ideology, but from a belief that they only brought destruction to people and communities. He was not going to allow them in his town to infect his community. Alas, within a year of his forced retirement, they came in and began to spread their disease. Every single community problem was, for my father, a health problem and could be treated as a communicable disease within the organism (gun violence, the building code, literacy, everything). Prevention was education, conveyed by skilled human interaction as one-on-one as possible with the family as the core. Treatment was a more intense version of the same thing focused on a specific disease with the health of the entire organism the goal. My mother, a dancer with Martha Graham and many other pioneers of contemporary dance in this country who always formed a dance company wherever she traveled, saw creation as a multi-dimensional dance in which each of us needed to find our rhythm and place in harmony with everyone and the master choreographer. So much more I could say, but I’ll stop. Yet Father, despite the differences in our parents, here we both are. Glory to God. Amanda, your thoughts on the sacrament of baptism are thought provoking for me as well. 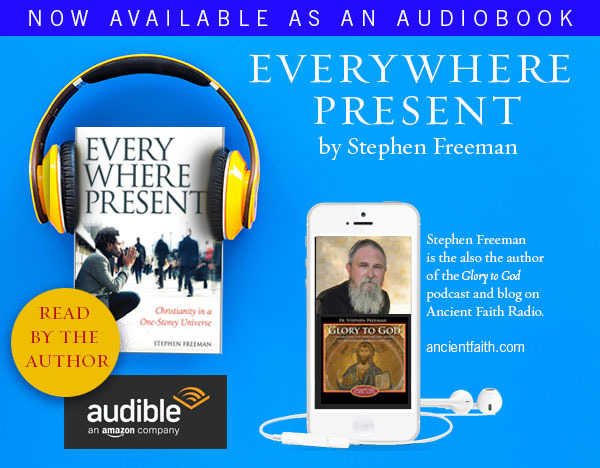 As I journey towards Orthodoxy and understand the connectedness and life of the Church, especially in the sacraments, these discussions are intriguing. I grew up Catholic, so I believe I have some understanding in my foundation of faith. Your thoughts on baptism completely spoke to me, and made me very sad inside as well. We adopted our little girl who has cerebral palsy from a baby house in Eastern Europe. She was set to be transferred to a mental institution in only a couple months after we were guided by God to adopt her. For a frame of reference, the mental institutions are not good and as many as 80 percent of special needs children die under poor and negligent conditions. It makes me so sad no one was going to adopt her (in their former communist culture handicapped children are hidden away in mostly or at least often unacceptable conditions). The day we adopted her, we were given her baptismal gown and certificate, which I have locked away in a special box with my baptismal banner and cross given to me as an infant. It felt very special for her to have been baptized, and it was important for the orphanage workers as well, but they were still going to ultimately send her to the mental institution for her fourth birthday. She would have been in a lying room and starving the rest of her short pitiful life. Today she is a beautiful little girl with the sweetest personality, she just received a new wheelchair this week, and she absolutely loved the swimming pool today. She is a joy. I cannot to this day bare the thought of her having been sent there. I suppose my thoughts in the midst of the discussion and Amanda’s thoughts are that the deep interconnectedness and sacramental connectedness is so deeply important, and yet there needs to be an outward working from the Church that can be “seen” tangibly as well when it comes to issues like pro-life issues. People need to be intrinsically valued in the image of God, but they need to be outwardly cared for too to carry the message of God’s glorious creation, especially of children of immeasurable worth. The interconnectednes of the Church glorifies God, and outward forms need to be witnessed to a hurting world too, by no means neglecting the inner. Your dismissal of the colloquy between James and Philip was harsh, and, I think, misplaced. If we are, in fact, connected, as Fr. 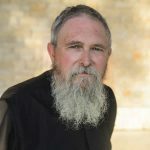 Stephen argues, and as Orthodoxy appears to hold, the fact of that connection has profound implications for our polity. As I read the original post, questions and thoughts not unlike those of James and Philip arose in my mind. Fr. Stephen’s propositions should prompt us to think about our politics, and not just the transitory politics of issues and candidates, but the real politics — the structure of our political institutions. Political discussion is fair game – particularly, I thought, one that is mostly a question – as in the conversation mentioned. My own observations are that political stuff is amazingly rife with the passions – perhaps more so than any other conversation that I see. If we did much of it here (Michael’s caveat rightly concerns itself with that question), I would have to think long and hard about how to establish boundaries and rules for the conversation in order to make it worthwhile. Perhaps it is best to say that the blog needs to let me moderate discussion and not worry too much about those concerns. Father and all. Please forgive me.
. . . and I also was too harsh. My apologies. Each of us being connected and responsible for each other’s sins is a big theme of The Brothers Karamazov and this represents such a departure from an American secularized and even gnostic view of things that it is very hard to swallow or even conceive of. One thing that helped me was a description of the Orthodox view of the cosmos made by Fr. Christopher Knight in a lecture he gave some years ago. He had heard the story from someone else. Anyway, an Orthodox priest was asked the question by some westerners about the differences between Orthodox thought and western thought. The priest drew two sets of circles on a napkin. The first set contained two circles of equal proportion with a “G” in one and a “C” in the other. The second set contained a large circle and then a smaller circle drawn within the larger one. The large circle was marked “G” and the small circle was marked “C.” The priest explained that in the west God is conceived as separate from the creation and outside of it so essentially they are separate spheres. In Orthodoxy the creation exists within God and so is intimately connected to the divine. I am not sure why, but using this illustration of Orthodox panentheism (as opposed to the poles of pantheism and deism) helps to make the connection of all people more believable. I think the whole thing hinges on God being present intimately in all of our interactions. When I imagine a mere separate creation it is hard to think of being connected to people (especially the obviously cruel and evil people who torture and enslave their fellow humans). This is not to say it is my daily habit to think of this connectedness or my natural disposition. It takes a lot of conscious effort to conceive of it. It is strange to conceive of something that must be more true yet to experience “reality” as if it is non-existent. It is like lacking the senses to properly detect the world around us. Thank you Isaac, that is very helpful to me. There are even some scientists discovering this interconnectedness of all things. Some of the experiments of the biologist,Rupert Shaldreake, and others have demonstrated that there is much more to our existence than science commonly aknowledges. Dear Father: Perhaps because I seem to be progressively turning into an agnostic I find all assertions that are conclusive rather problematic. For instance, even with the help of tradition, one cannot avoid the fact that language, words are equivocal by their very nature and only approximate very much in relationship to the context in which they are used. Paul might have expressed his opinion or understanding what body and parts of the body might have been like in the way that it is interpreted in your article, but is it not a demand of fundamental humility that we cannot now see but through a mirror? Then how could we affirm that a particular vision of something is identical to that at which we are looking? It seems historically obvious that science needed to part ways with theology and philosophy in order to develop but the Holy Spirit did not necessarily need to be uninvolved with it. The bottom line is that God is to remain an ungraspable mystery simply because that is one of the few things that are not difficult to understand about what God might be like. Human beings cannot be absolutely sure of fully understanding the material world in which we live and die, so how could we conclusively know the nature or the ways of someone or something that seems to transcend us (Psalm 138/139). I am very grateful to you for your article, sent to me by a dear friend. It motivates me to further explore my own feelings and thoughts for and about God simultaneously acknowledging with humility the awesomeness that I love to attribute to the Mystery God of Jesus. Peace to you. I’m not nearly as agnostic about our ability to know certain things – words included. If it were an isolated text in an isolated culture, with no living tradition to connect anyone anywhere today, you would be more than correct. However, St. Paul writes in a period that is filled with material and he does not write in a manner that changes the meaning of words from everything that has gone before. Nor does the Tradition use his words differently. There is, however, a clear break with the past and with language (or the meaning of the imagery) after the development of a mechanistic world-view – a development that can easily be documented. As an Orthodox priest, I write from within the living Tradition, unbroken and continuous since the beginning. It’s not quite that simple, but it really is not so hard to distinguish its understanding from that of the modern world. It’s possible to contend that the modern world as an ideology is a work of the Holy Spirit, but I do not believe that such a doctrine of development is at all Orthodox – thus I do not subscribe to it or believe it. I could mount an argument, but I won’t. There is a very deep well of Orthodoxy that speaks and understands in an apophatic manner about God. But it is not an across-the-board sort of practice. We’re are deeply ignorant – though, I think – not as much as you think in regard to certain things. Father, your mention of the break created by the ascendency of the mechanistic world view is quite right. It is quite clear if one studies history. Holy Tradition, the life of the Church, allows us to transcend the merely human, the awful limitations of our brain and directs us to our heart, which in communion with God is unlimited. We are meant to know LIFE and that abudundately. Life is not utilitarian (30,000 species of spiders afterall). We are called to go beyond the material, temporal and obvious to live a life that exists in infinity. The fathers called it going from glory to glory. The mechanistic mind persists in the linear and is submerged and threatened by what seems to be an infinte quest, when in fact it is always right here, at hand in the heart united to God. In the mechanistic view morals and virtues become both legally defined and totally individual. Things that separate, isolate and confound, relativized. Connections have to be seen, measured and clearly understood and defined or they don’t exisit. Jesus could have called up stones to replace those who acknowledged Him on Palm Sunday because stones are full of life that is ‘everywhere present’. We can know, but it is not the knowing of cognition, proof and subjectivity. It is the knowing of faith, communion and the heart. Exactly what the Fathers of the Church have always taught and lived. Exactly what the elders of our time also teach and live. As the wormhole aliens on Star Trek: Deep Space Nine were fond of saying, humans are too linear. We are not created that way, however. We have made ourselves that way. can express the exultation of Isaiah 45,15. Joy and peace to you. Jay, you are thinking of Tradition in a manner quite different from Orthodox thought. Tradition is not at all the same thing as the culture, etc., that we pass along and that develops. In Orthodoxy, Tradition is the abiding life of the Holy Spirit in the Church – it is not an inheritance, but is the abiding continuation of the life of the same community through time. At least that’s how we see it. As such, Tradition does not grow or change. It is the abiding reality that corrects, manages and judges the growth and change that are natural parts of life. Thus, the Church in Russia is only 1000 years old – and it is not in the same language as the Byzantine Church that planted it. It also has many “local” Russian customs. We think that is perfectly normal. Orthodoxy always tries to incorporate the local culture where possible. But the 1000 year old Russian Church is the same Church, with the same abiding Tradition, utterly continuous with the One Church. 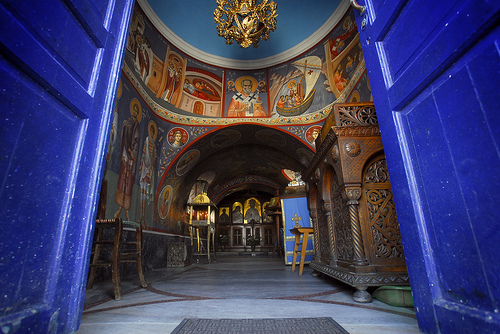 One of the miracles of Orthodoxy is the fact that it allows local expression. The abiding Tradition is not a concept nor a set of rules imposed from the outside. It is the abiding presence of the Spirit, constantly creating and bringing forth the One and same Church. And the sameness is the Tradition. A good article on the Orthodox understanding of Tradition, is V. Lossky’s Tradition and Traditions. It’ll take you into some of the more interesting thoughts of Orthodoxy. Father, not only does the Church local adaptations but has the benchmarks and Apostolic authority to make corrections if the adaptations go too far. The correction can take awhile, but by God’s grace, patience and abiding love, it eventually gets made. It is this freedom that, I think, confounds many. Dear Fr. Stephen: I am not familiar with the Orthodox understanding of Tradition and will certainly read the article suggested at the end of your comment. Thanks. I find impossible believing that a particular concept, even that of Tradition, can be absolutely free of error even though it is kept and passed on through human understanding. Such affirmation would be then unquestionable, known as undoubtedly revealed by God and therefore absolutely free of human ignorance. The problem with Jung’s or Durkheim’s collective unconscious or unconsciousness, being important as they might be are just hypothesis which cannot ultimately justify the origin, nature, necessity or purpose of, for instance, evil in that is a limitation that Tradition, whether Christian or not, Roman Catholic or Orthodox has. Thus it is possible to affirm that the understanding of the existence of evil in spite of 1 John 4, 8 might be a future development of our living Tradition as a result of the progressive understanding on our part of the totality of Revelation. I wish you to know that I do not argue for the sake of arguing or capturing attention. I am deeply grateful for your availability and understand my profound ignorance. A friend has reproached me that I wish to know the way that God knows without realizing that by her understanding how I wish to know, she implies her knowledge of how God knows or she would be unable to recognize my desire as she does. I do not wish to know but with my mind. Questioning can not be dismissed simply as attributable to Satan or being simply a temptation of pride or grandiosity. Thus an authority that considers itself unquestionable is failing to humbly recognize that knowledge and understandings are always mediated by human intellect and affect and thus always incomplete. This assertion that I just made is in itself subject to the same rule and so on. It is the Mystery of the God of Christ that seems to constitute in spite of being ungraspable the only true objective referent. Many of the objections you raise would be true if the nature of the knowledge that constitutes Tradition (or that takes place within Tradition) were of the sort that you describe. But the knowledge of God is not like the knowledge of an idea or of an object or a syllogism. It is rather, something far more organic. The Lossky article is a good place to start. Dear Fr. Stephen: Thanks once again for taking time to reply. I have already printed out the Lossky article and will read/reflect on it this afternoon. Thanks. I have been captivated by your concept of knowledge, which I must confess is foreign to me. furthermore it is rather impossible to conceive. It would be knowledge that is not knowledge, but I am greatly appreciative of your patience and kindness replying to me comments. Thanks. Peace and serenity to you. Often times in the modern world we conceive of almost everything happening inside our head – and thus we arrive at a world-view not unlike Bp. Berkley’s in which all knowledge of reality is only as secure as the stuff in our heads. But this is very poor. First, think of how you remember to ride a bicycle – there is no conscious knowledge – it’s called “kenesthetic,” knowledge. Think of how the Eucharist remembers Jesus, but not because it reminds us and we think of Jesus, but because the bread remembers him. That mind-blowing thought is much closer to Orthodoxy than the mental stuff that marks the modern world. I have used as well, the icon, that “remembers” Christ. In Orthodoxy we say that the icon makes present what it represents. Thus, the icon remembers Christ in such a way that he is hypostatically (personally) present. For that matter, the hills remember a thousand, thousand years of rain and more, and stand as silent sacraments of every rainfall. And I could multiply such examples. Tradition is the living presence of the Spirit, that works, not because of our mental remembrance, but even independent of our mental remembrance. Orthodoxy would say that the abandonment of such remembrance has left modern Christians with amnesia and only absence to mark what once would have been presence. Thus, to the modern Christian, the Eucharist does not mark Christ’s presence, but His absence. At best, we think about Him (the weak translation of “remember”). The living Tradition is like the memory my fingers have on the piano – only they are now the memory of a tune that was first played 2000 years ago. But the music remains, and when the piano gets it right, the harmonics of the tune (boy am I working this metaphor!) begin to sound and you begin to have a knowledge that was once known by another set of fingers. There are these immensely rich layers of Orthodoxy in our worship (other Church’s have nothing that even remotely compares). Small hymns, canons, rich, rich, theological poetry that is sung, and mixed and provides this many-layered expression of any given theological reality/event. And it is into such a kinesthetic reality that we worship – with image, word, sound, smell, action, etc., all deeply conscious and yet unconscious that not only convey an idea, but, more or less, make that reality present. Thus we say that the Eucharist is the messianic banquet. It is the Last Supper and the Supper at the End of the World. It is the marriage feast of the lamb, the sacrifice of golgotha, and all of these things, and all of them are made present, even accessible in the liturgy, and day after day, the Church lives its life immersed in this reality. I found this to be an incredible article. In the last month I’ve been thinking about this theme a lot. The world we live in seems to be about the business of only two things: union and division. There really is no middle ground. 28 But if I cast out devils by the Spirit of God, then the kingdom of God is come unto you. 29Or else how can one enter into a strong man’s house, and spoil his goods, except he first bind the strong man? and then he will spoil his house. Your comment about kinesthetic knowing was so illuminating for me. I’ve sometimes wondered about my own process of entering into the Orthodox Church. It started with an occasional liturgy attendance. It progressed with theological study. It evolved into losing my interest in non-Orthodox theology–not in a consciously pejorative way, but just experientially. Icons began to make sense to me at a deep level. Crossing myself started to feel like an imperative. It was as though I was being taught something spatially and physically and something in me, deeper than consciousness, was responding and thriving. And now, it continues….I often find myself referring to Orthodoxy as a ‘space’ because it feels more like a spatial encounter than an ideological one (though forgive me if that sounds strange, I’m not used to articulating this) And its a space that seems to define me much more than I define it! I think it’s that experience that convinced me more than anything else that there was a deep and precious reality to what I was encountering. Thank you, as usual, for such wonderful food for thought. Sophia, the Church is a space-the space where the human and divine; the created and the Creator meet and come together. I find your description beautiful and quite apt. Thank you.